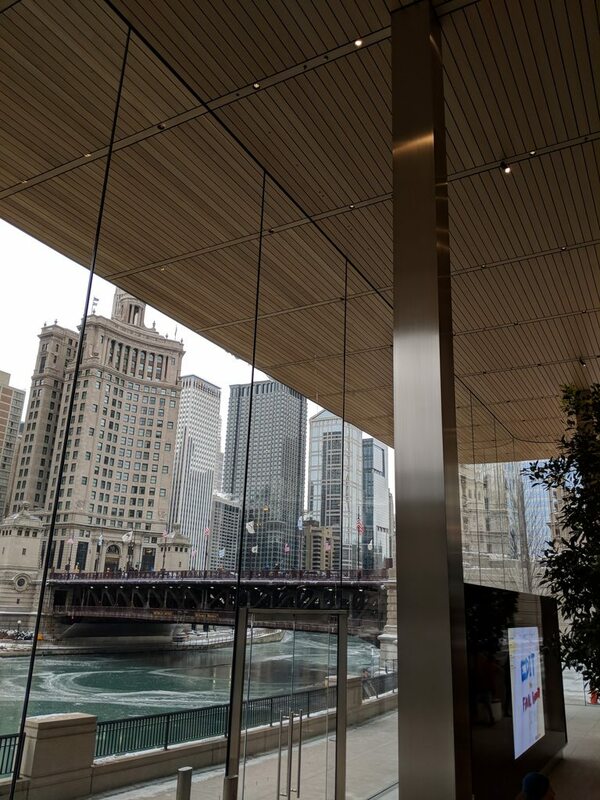 Stopped in to see the Apple Store today. 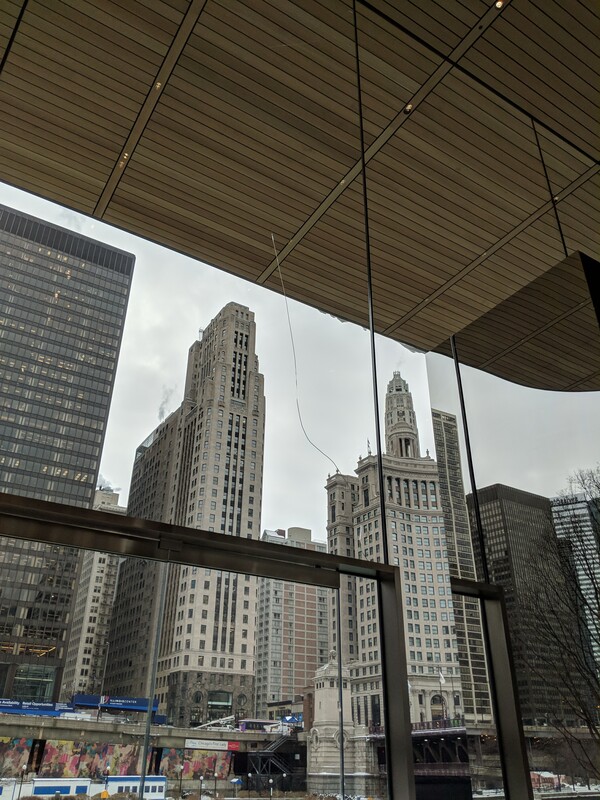 Very cool space but was surprised to see a crack in one of the glass panels. An associate said it cracked last night due to the cold. Looks like it's only one layer of four (?) laminated pieces that cracked. Will be interesting to see how they repair this. You may have to zoom on the photos to see the cracks. They're only visible from an angle. Disappear almost entirely when viewed straight on.